Samsung's flagship is the new must-have handset – find out if you must have it by watching our first look video review. 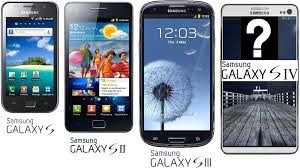 Samsung Electronics Co premiered its latest flagship phone, the Galaxy S4,which sports a bigger display and unconventional features such as gesture controls, as the South Korean titan challengers Apple Inc on its home turf. The new Windows 8 operating system has the usual keyboard shortcuts, just like all the previous versions of Windows did but with extras. The difference is, Windows 8 has such a new interface, that it might be easier to use keyboard shortcuts. Windows Key + W : Brings up the settings search menu. Windows Key + Q : Brings up the application search menu. Windows Key + L : Locks the machine. Windows Key + a Number : Launches a program from the Taskbar. Windows Key + 1 runs the leftmost program and Windows Key + 0 runs the tenth from the left. If the app is already open, this shortcut will switch to it. Windows Key + T : Cycles through items in the taskbar, from left to right. Pressing the return key will then launch the selected application. Windows Key + Arrow Key : Perform Aero Snap. The up Arrow maximizes the window. Left Arrow snaps the application to the left half of the screen, The Right Arrow snaps the application it to the right side of the screen, and the Down Arrow minimizes it. Windows Key + C : Launch the Charms Bar on the right side of the screen. Windows Key + X : Launch the Power User Menu, providing many of the functions lost with the missing Start Menu, such as access to the Control Panel, System, Device Manager and Command Prompt. Windows Key + E : Launch Windows explorer. Windows Key + P : Cycle through the second screen projection mode. Windows Key + I : To avoid the Charms bar then choosing Settings it’s possible to go directly to Settings. This will reveal the Power button, too. Windows Key + H : Used in applications to email or share its content with someone on a social network. The application must support this. Windows Key + R : Opens Run menu where you can launch programs by typing in their executable file names. Windows Key + PrtScn (Print Screen) : Takes a screenshot and saves it to the pictures folders as a PNG files. Windows Key + O : Locks the screen orientation. Windows Key + Page Up / Page Down : Doing this combination on the Start Screen will cycle through which display the Start Screen is shown on. Windows Key + Tab : Brings up the Task Switcher and toggles between Windows 8-style apps, note in Windows 8 this no longer switches between desktop applications. Alt + Tab : Brings up the Task Switcher and toggles between all applications (Desktop or Windows 8-style). Alt + Shift + Arrow Key : Doing this combination on the Start Screen will move the position of an applications shortcut. Alt + F4 : Shut down the current application. 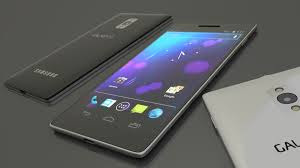 Aided by increasing adoption of smartphones in the country, the mobile phone market in India has touched about 218 million units in 2012,a growth of 16 percent over Jan. – Dec. 2012 . Checking your bank account balance regularly online has been a pretty good way to guard against fraud—until now. An Israeli security firm has identified a new virus that not only steals the info fraudsters need to drain your bank account, it ensures you don't see those transactions when you visit your bank's site, reports MSNBC, likening it to a bank robber switching out the video on the building's security cameras. Dubbed "SpyEye Trojan," the sophisticated virus first spies on your login information, and tricks you into divulging your credit card number. Once the hacker has that info, the virus keeps track of every fraudulent purchase he makes with it. The next time you check your account, it'll make sure those items don't show up onscreen, and change your balance to account for them. Checking from an ATM or uninfected computer will give up the game, but by then it may be too late. The security firm says the virus has already affected real customers—and they expect its use to spread. Software giant Microsoft on Monday, launched the latest version of its "Office365" solution for businesses in India,which will enable them to access emails and other productivity tools from a variety of devices. The new MS OFFICE 365is a comprehensive suite with Word,Excel,PowerPoint,Access,Outlook and One Note. It provides seamless sharing of data across multiple devices like desktops,Laptops,Mobiles and Tablet PCs. WASHINGTON (AFP) - Nasa's Mars rover Curiosity has been temporarily put into "safe mode," as scientists monitoring from Earth try to fix a computer glitch, the US space agency said. Scientists switched to a backup computer on Thursday so that they could troubleshoot the problem, said to be linked to a glitch in the original computer's flash memory. "We switched computers to get to a standard state from which to begin restoring routine operations," said Richard Cook of Nasa's Jet Propulsion Laboratory, the project manager for the Mars Science Laboratory Project, which built and operates Curiosity. India launched what it dubbed the world's cheapest tablet computer Wednesday, to be sold to students at the subsidized price of $35 and later in shops for about $60. Most of India's 1.2 billion people are poor and products such as Apple Inc's iPad are beyond the reach even of many in the fast-growing middle class. "The rich have access to the digital world, the poor and ordinary have been excluded. Aakash will end that digital divide," Telecoms and Education Minister Kapil Sibal said. 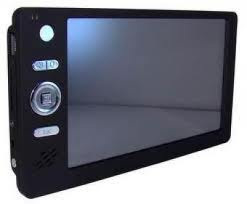 The government is buying the first units of the lightweight touch-screen device, called Aakash, or "sky" in Hindi, for $50 each from a British company which is assembling the web-enabled devices in India. A pilot run of 100,000 units will be given to students for free, with the first 500 handed out at the launch to a mixed response. It supports video conferencing, has two USB ports and a three-hour battery life but some users said it was slow. India has a reputation for creating affordable products that are easy to use and sturdy enough to handle its rugged environment -- from Tata Motors' $2,000 Nano car to generic versions of pharmaceuticals. Two years in development, the paperback book-sized Aakash may help the government's goal of incorporating information technology in education, although critics were doubtful of its mass appeal. Despite being a leader in software and IT services, India trails fellow BRIC nations Brazil, Russia and China in the drive to get the masses connected to the Internet and mobile phones, a report by risk analysis firm Maplecroft said this year.